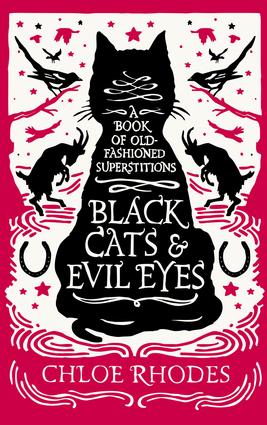 An amusing and scholarly look at the fascinating stories behind old-fashioned legends and superstition This collection investigates the origins of history's most intriguing old-fashioned superstitions, many of which people still find themselves abiding by today. Hundreds of the beliefs passed down through the generations have their foundations in ancestry's efforts to ward off evil, which they blamed for hardship, illness, and injustice in times when life was, as often as not, "nasty, brutish, and short." Black Cats and Evil Eyes sets these superstitions in their historical and social context, explaining how fear of the devil, demons, evil spirits, and witchcraft drove people to arm themselves with rituals and talismans to repel dark forces and allow them to live long and healthy lives. In examining many of our common superstitions, this book illuminates the customs, beliefs, and practices of an ancient, and often darker, human past. Chloe Rhodes is the author of A Certain "Je Ne Sais Quoi", One for Sorrow, and The Office Book.